From curb appeal to home performance, exterior products from Universal Windows Direct will revamp any home in Anderson, Indiana. 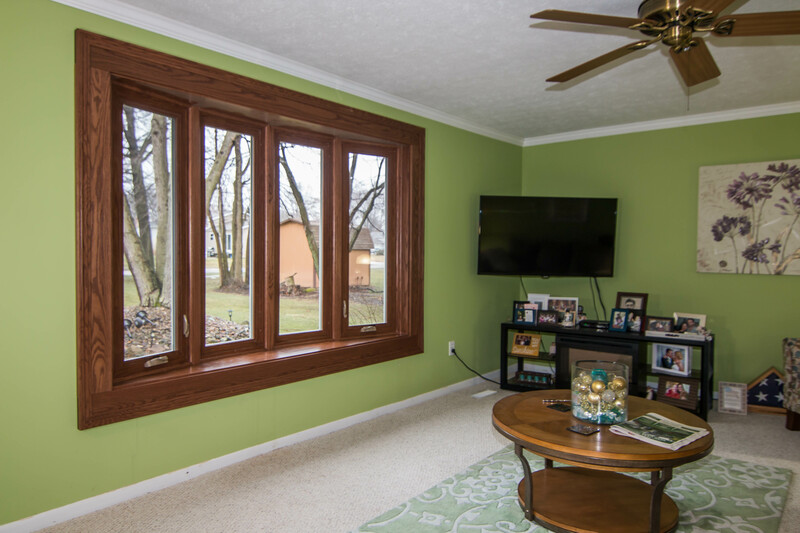 Replacement windows with bold decorative options brighten the home while saving energy. UniShield® vinyl siding, the exclusive exterior option from UWD, is molded after real cedar wood with wood grain details. Finally, fiberglass entry doors perk up dull curb appeal while making homes more secure. UniShield® replacement windows are the definition of timeless beauty. These high quality window products stand the test of time with vinyl window frames, working 365 days per year to battle the elements and keep the home comfortable. The vinyl frames are low maintenance and will not warp, peel, or chip, making them one of the most popular window materials in Andersen. UniShield® windows’ extra aesthetic upgrades jazz up any curb appeal. Elegant decorative glass designs add interest to architecture or décor, with options including floral, prairie, double prairie, and obscure glass for privacy. Grids add character with options in available in contour, flat, and more. 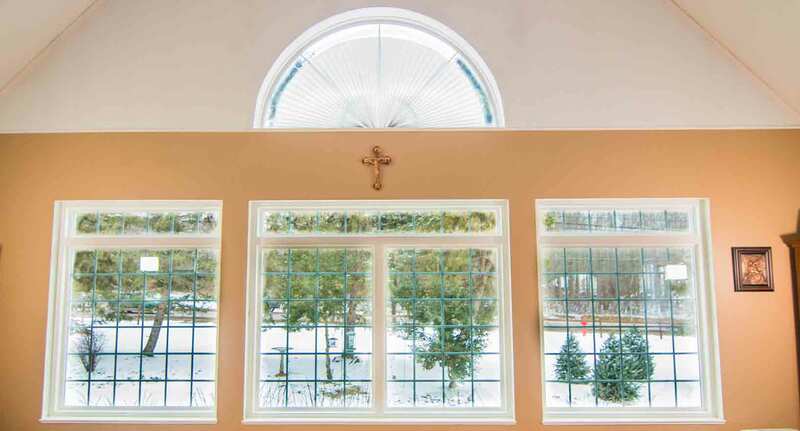 UWD helps Anderson homeowners choose the ideal window style. 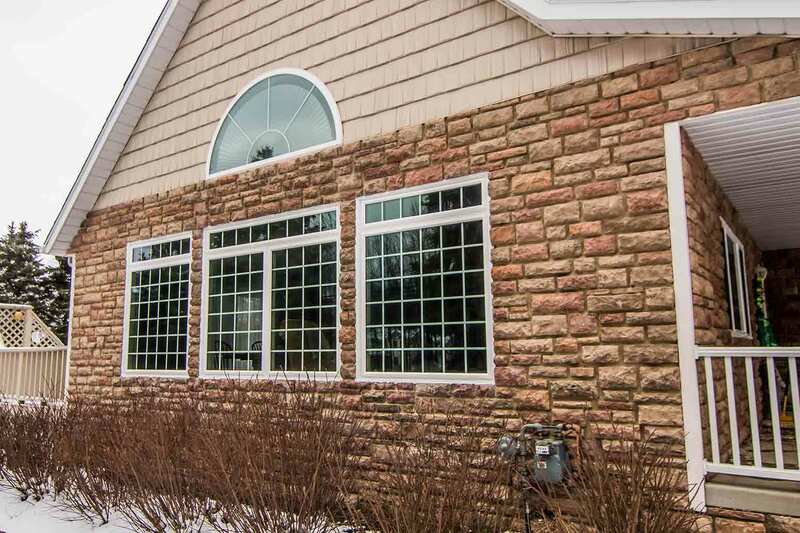 With our extensive selection of window designs, there is ample opportunity to customize curb appeal with nearly any shape or size. 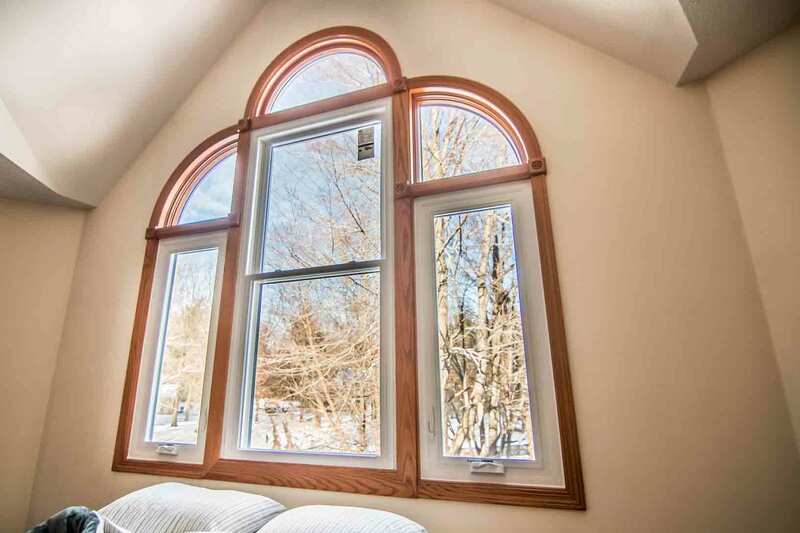 Choose from window styles including double hung, casement, slider, garden windows, picture windows, and bay and bow. Geometric shapes are available in shapes such as oval and circle. Homeowners may also opt for custom shaped windows that are completely unique to the home. Plan on saving more energy with UniShield® glass packages. UniShield® is one of Anderson, Indiana’s most energy efficient replacement windows. The glass packages are comprised of technologies such as argon an krypton gas, low-e glazing, and dual or triple pane glass. These technologies work together to create one of the most efficient windows on the market, saving homeowners up to $465 per year on utility bills. UniShield® glass packages are available in four tier levels. 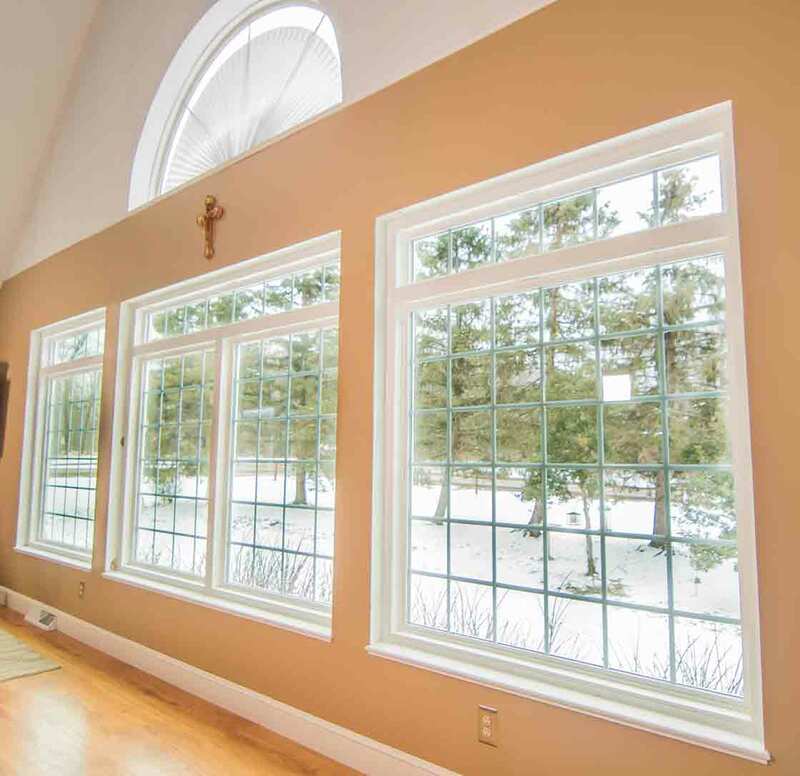 Each window is designed to fit various budgets and needs for energy savings. For those who need a reliable, affordable, and energy efficient window should consider UniShield® Plus. 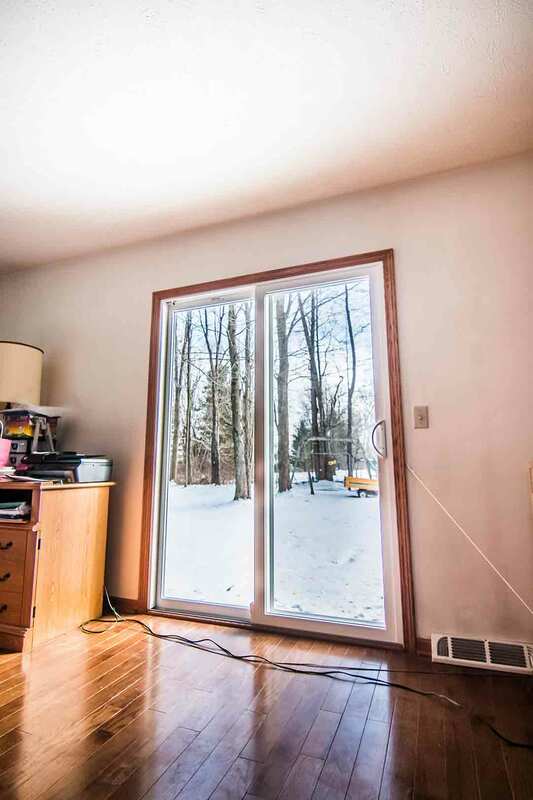 This is a dual pane window with durable vinyl frames, argon gas between the panes, and a single coat of low-e glazing. It’s the all-in-one window for saving energy and making the home look beautiful. 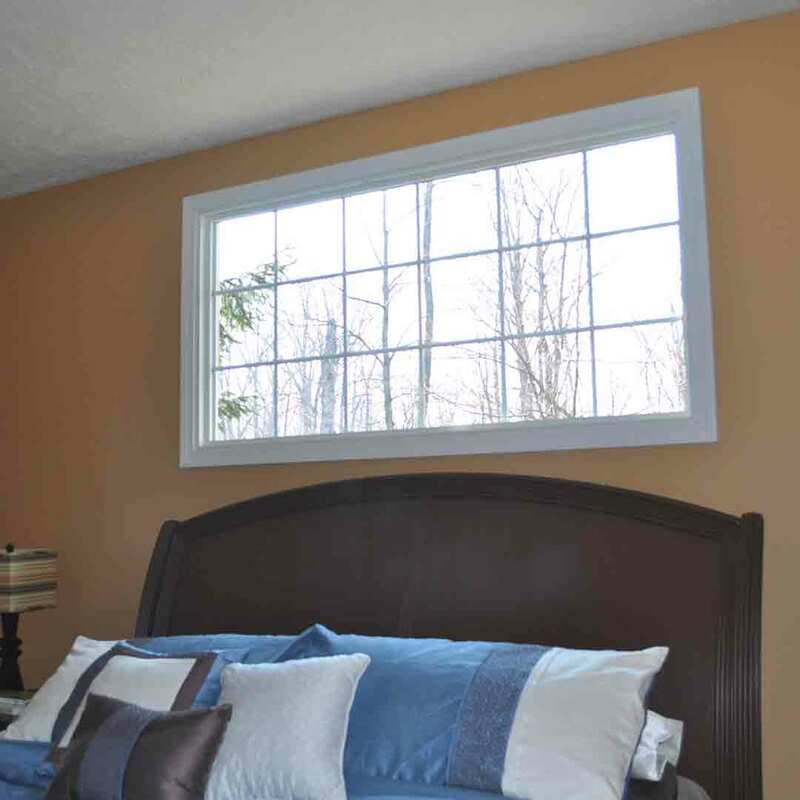 UWD offers window installation for our UniShield® products. Enjoy coverage under the True Lifetime warranty, which covers installation, craftsmanship, performance, and more. "Very good presentation with absolutely no "Sales Pressure" from Tony. Tony..."
Entry doors bring renewed energy to the home in terms of aesthetics and efficiency. Every fiberglass entry door brings value to the home with durable materials that last for decades. These doors do not warp, rot, or corrode. They add a barrier gainst the elements as well as intruders, serving as one of the top entry doors in Andersen. Fiberglass is an ideal material due to its durability, ease of maintenance, and aesthetics. Traditional wood requires significant upkeep. There is no painting, sanding, or staining involved with fiberglass. Simply clean the door of atmospheric dirt as necessary and enjoy a beautiful door for years to come. Homeowners can choose from our inventory of wood stain and paint options. Whether the entry door is steel or fiberglass, colors such as cream, forest green, Bordeaux, classic blue, and clay will complement curb appeal. Wood stain options add a classic touch in stains such as natural oak, cherry, rosewood, and dark walnut. 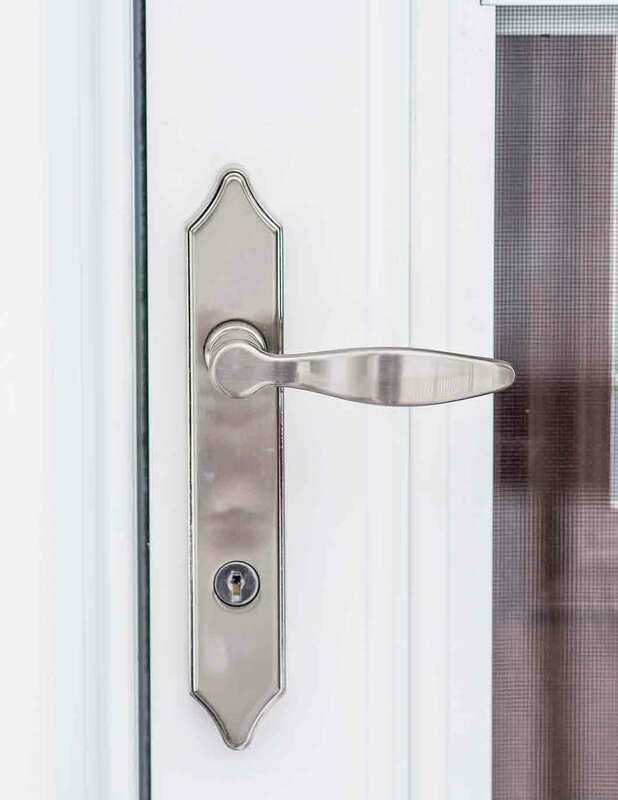 Enhance the appearance and security of the entry door with durable hardware. Hardware styles include deadbolts, locksets, leversets, handlesets, and even keypad or touchscreen deadbolts for keyless entry. Accessories such as magazine slots, peep sites, and knockers will upgrade the look of the door. Hardware finishes include polished brass, antique brass, satin nickel, and aged bronze. 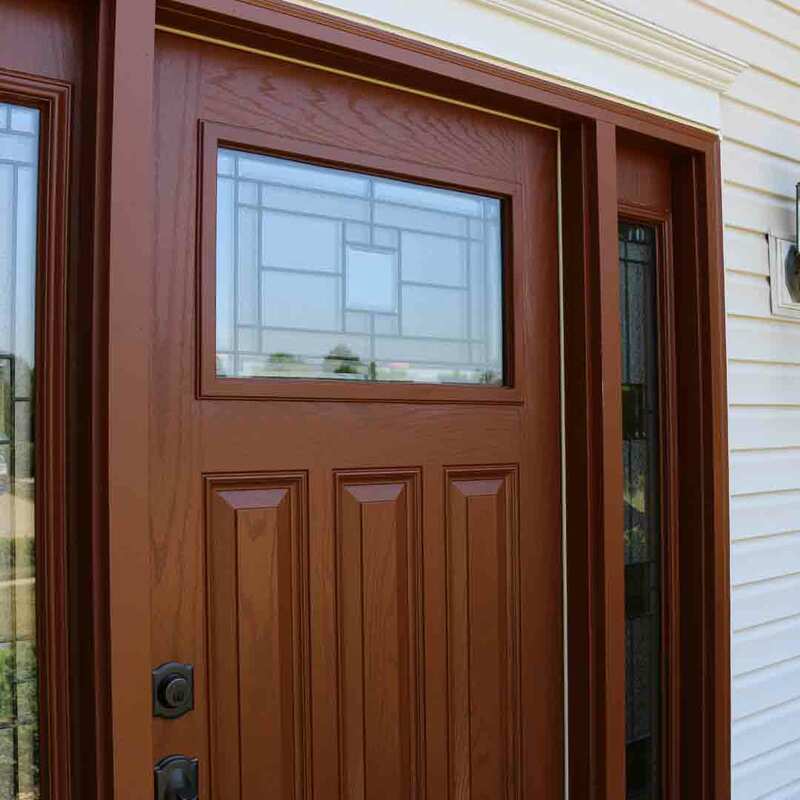 Add an extra aesthetic touch with decorative glass options for entry doors. Choose from various floral designs as well as geometric. 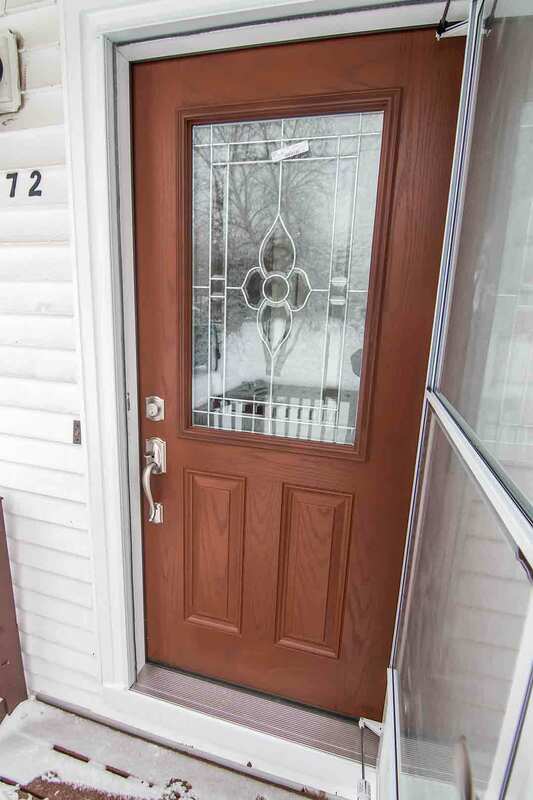 Decorative glass may be installed on the face of the door as well as sidelites and transom windows. Every entry door includes a polyurethane foam core to maximize energy savings. Durable weatherstripping blocks out drafts while our entry door installation keeps the door performing throughout the year. Ask us about our True Lifetime warranty that guarantees craftsmanship and performance. Homeowners needing an exceptionally crafted yet durable exterior option will find the best options from UniShield®. 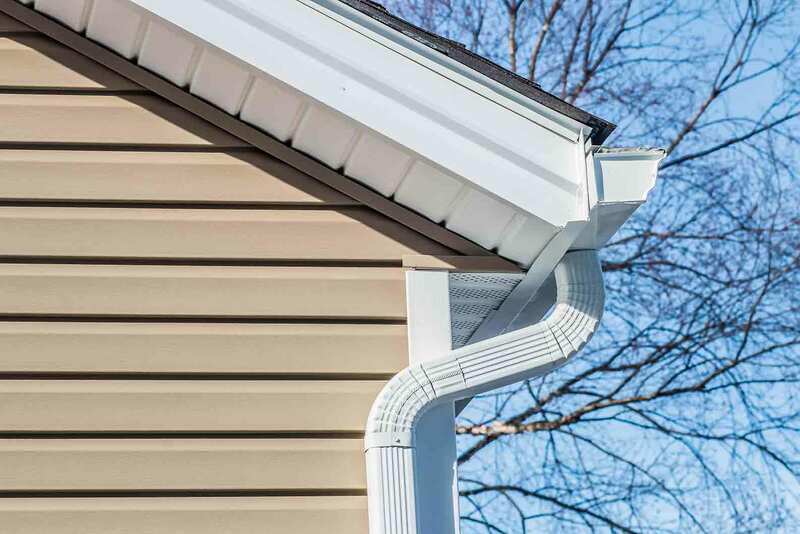 UniShield® vinyl siding is engineered with heavy gauge plastic in widths of up to .46”. This exterior is noted for its structural integrity, vinyl colors, and protection for the home. UniShield® exterior panels appear handcrafted with lifelike woodgrain panels. 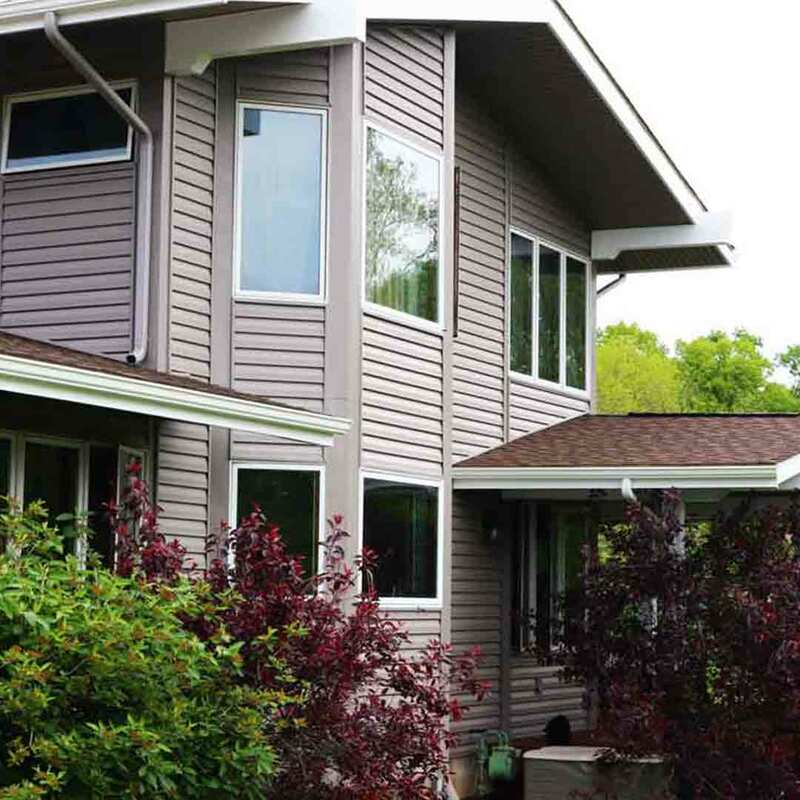 Panel lengths are available in up to XXL to create seamless siding. Additional aesthetic upgrades includes vinyl scallops to highlight window boxes and eave edges. Soffit covers exposed rafter beams and cedar shakes add a rustic edge to curb appeal. 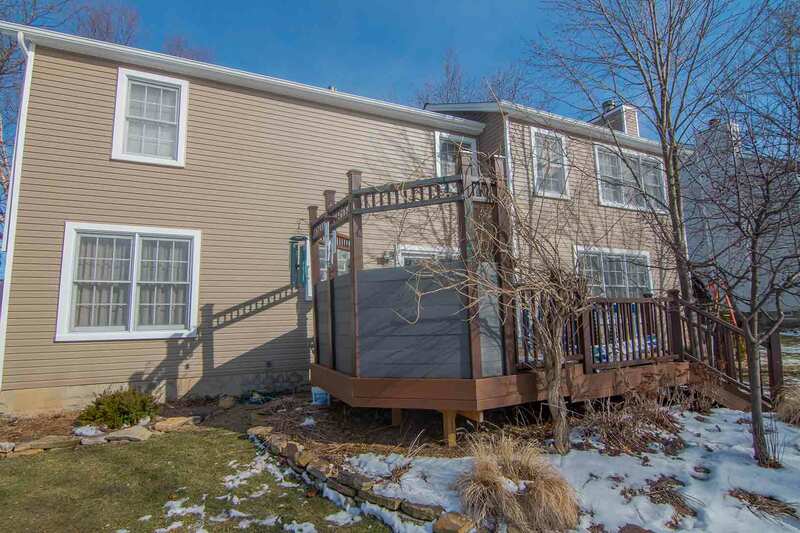 UWD offers vinyl siding installation to enhance performance as well as beauty. Every panel is expertly locked in place to block out moisture and protect the home. UniShield® exterior colors range from classic to bold, with color options including mystic blue, coastal sage, glacier white, colonial ivory, maple, and more. Highlight various aspects of home architecture with additional colors, including walnut, English saddle, arbor, deep moss, storm, and more. Trimworks accessories are available as exquisitely detailed trim pieces, designed to enhance windows, entryways, and more. Revamping the exterior of the home is fast and affordable with UniShield®. This product is protected under UWD’s True Lifetime warranty. An additional 20-year warranty is included for this product to guarantee color vibrancy.